OSWEGO, NY (April 11, 2017) – The lid lifter for the northeast Small Block Supermodifieds is now just one month away as the Lighthouse Lanes Oswego Speedway Small Block Supermodified touring series heads to the Evans Mills Speedway for its ‘Spring Championship’ event on Saturday, May 12. The 30-lap special for the Small Block Supers will officially open the 2018 SBS season in Central New York ahead of Open Practice at Oswego Speedway one week later followed by the track’s 68th Annual Opening Day on Saturday, May 26 featuring the Tony White Memorial 35. Next month’s event will mark the second appearance by the tour at the Evans Mills Speedway following an entertaining inaugural ‘Fall Brawl 50’ which brought nearly 25 cars to the North Country oval in the series’ first appearance at ‘The Mills.’ 2017 Oswego Speedway SBS track champion Dave Cliff was victorious with Mike Bruce, Jon Tesoriero, Anthony Losurdo and Brad Haynes filling in the remainder of the top five. Four out of the five top five finishers from last September’s event are expected to be in attendance on May 12 along with the remainder of the top ten which included Rich Petrucco, Jack Patrick, Dalton Doyle, Tim Proud and Cameron Rowe. Several other Oswego Speedway SBS regulars and rookies also plan to invade Jefferson County including Barry Kingsley, Cameron Black, Rob Pullen, Greg O’Connor, rookies Steve Flack, Joshua Sokolic and Tyler Henry, as well as Evans Mills track owner Vern LaFave. Evans Mills Speedway pit gates will open at 3:30pm on Saturday, May 12 before hot laps get underway at 4:30pm. With a switch to Saturday night action in 2018, preliminary race action will get the green flag promptly at 6pm. The Mills Modified, Legends, Bandolero, Thunder Stock and Sport Compact divisions will join the SBS in action. More information is at EvansMillsSpeedway.com. 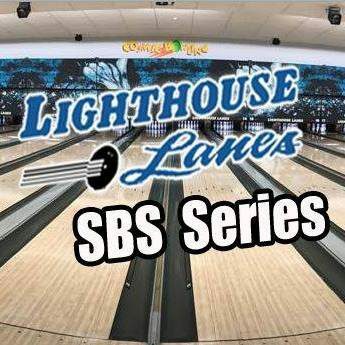 For more information on the Lighthouse Lanes SBS Series, visit the series’ new website at LighthouseLanesSBSSeries.com. You can also FOLLOW on Twitter @LHLSBSupers or LIKE on Facebook at Facebook.com/LighthouseLanesSBS. About the Lighthouse Lanes SBS Series: The country’s only Small Block Supermodified touring series, the Lighthouse Lanes Small Block Supermodified Series was formed in March 2017 by drivers Mike Bruce and Camden Proud in association with the Evans Mills and Spencer Speedways. Set to be a five race venture in 2018, the series is made possible from the support of Lighthouse Lanes, Route 37 Building Supply, Cam’s NY Pizzeria, as well as the dedicated team owners, drivers, and fans of Small Block Supermodified racing.